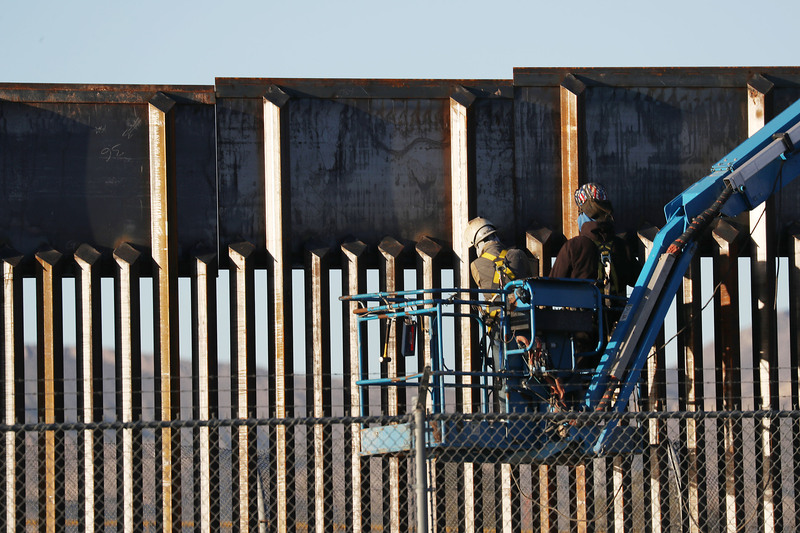 A bill that would allow taxpayers to donate a part of their refunds to a nonprofit collecting money to build more border wall has successfully passed the Alabama Senate. Alabama state senators voted 23-6 along party lines Thursday in favor of SB 22, the Montgomery Advertiser reported. The legislation would add We Build The Wall Inc. to a list of about 20 groups and programs on state income tax forms that residents can check off and donate with their tax refunds. We Build The Wall — which began in December as a viral GoFundMe campaign by Air Force veteran and triple amputee Brian Kolfage — is a nonprofit group that is raising money for wall construction on the U.S.-Mexico border. The GoFundMe page is nearing $21,000,000 in donations. The private contributions are rolling in as President Donald Trump continues to fight for more wall funding. Trump signed into law a resolution that gave him $1.375 billion to build 55 miles of barrier on the Texas border. He then declared a national emergency that has allowed him a total of $8 billion in funding, but numerous progressive groups are suing his emergency declaration in court. Singleton’s comments are technically correct. Over 960 people have illegally crossed the U.S.-Canada border in 2018, according to government data, representing a 91 percent increase from the previous fiscal year. However, that number remains a minuscule fraction of the apprehensions taking place on the U.S.-Mexico border, where border officials expect to find nearly 100,000 foreign nationals in the month of March alone. Update: Brian Kolfage contacted The Daily Caller News Foundation after publication of this article and stated that We Build The Wall is now focused on building the wall itself. Originally focused on raising money to donate, We Build The Wall is now working to privately build barriers on the southern border, and is claiming it will break ground as soon as April.